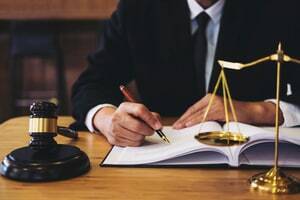 If you were injured during the commission of a crime in Doral, then you should speak with the best Miami crime victim lawyer you can find to help you. There is a possibility of that some third party may be responsible for your damages but obtaining that compensation will not be easy. Call the Doral crime victim compensation attorneys at the Wolfson Law Firm for a free consultation. If you choose to allow our Miami personal injury law firm to represent you, we will not charge you a fee unless and until we obtain a recovery for you. Call us now at (305) 285-1115. Doral, commonly referred as Doralzuela or Little Caracas due to the large Venezuelan influx in the last fifteen years. For a city of its size, there are many businesses situated in Doral, mostly due to the proximity with the Miami International Airport. Of course, there are many other crimes that could get you injured and eligible for damages recovery. Whatever happens to you, make sure you talk to a lawyer to investigate on your chances of getting just compensation. Our Miami injury lawyers help crime victims recover damages for the personal injuries sustained as a consequence of those crimes in three ways. One is applying for compensation by the Florida Bureau for Victim Compensation. Gather all the necessary documentation to prove that the crime occurred, and your injuries were sustained due to that attack, and this will be a pretty simple and straightforward procedure. This program can assist in compensation for some of the economic damages sustained in the criminal attack. If the identity of the assailant is known, he will be taken to court. You can get a judgment for your damages but most criminals lack to ability to satisfy any judgments. The third option is to claim damages from a responsible party who controls the premises, such as a convenience store owner or a nightclub where the crime happened. If the crime happened at such premises, the persons who controls it is obliged to take all the reasonable measures for preventing any foreseeable crimes and other accidents that could cause personal injuries. When this obligation is breached due to negligence, the third party may be legally responsible for paying for your harms and losses. When a loved one of yours has died as a consequence of a crime attack, you as a murder survivor may have the right to claim damages by any of the aforementioned means. The law provides some family members the opportunity to seek compensation. But you are well advised to speak with a Miami crime victim compensation lawyer to see if you qualify. Although it sounds simple, in the 50 plus years of representing victims, the Wolfson Law Firm have met many people who have tried to represent themselves and failed. It is difficult to get fair and just compensation as a crime victim. No one wants to pay for your damages, so there is a work to be done for getting a just compensation. Call us at (305) 285-1115 and get help from our Miami crime victim injury lawyers. Consultations are free, and you pay nothing unless we recover for you.